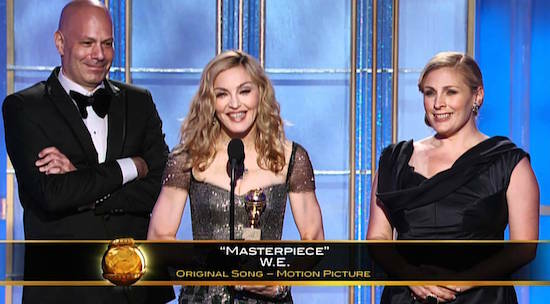 On January 15 2012, Madonna and co-writers Julie Frost and Jimmy Harry won a Golden Globe for Best Original Song for Masterpiece (from the film W.E.) 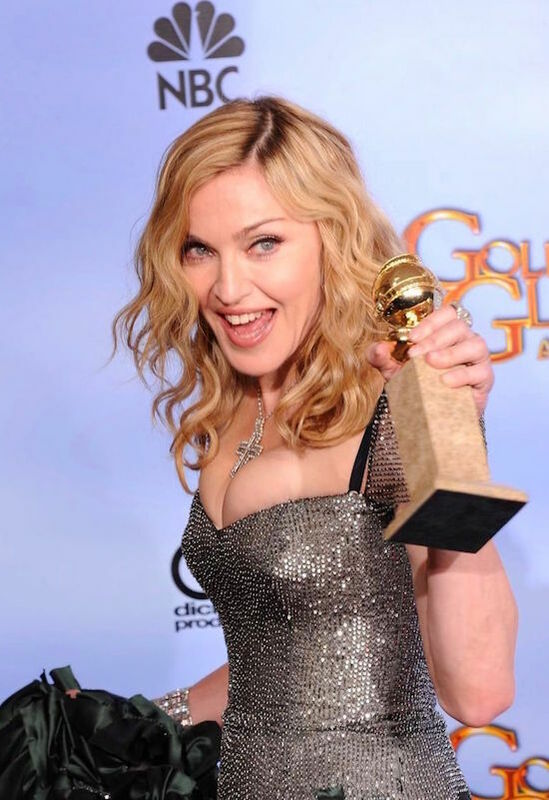 at the Golden Globe Awards. 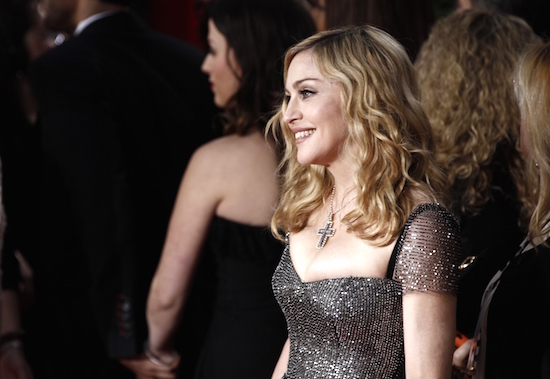 Masterpiece-best song from MDNA-about her mother and her adoring fanbase! Well done M!